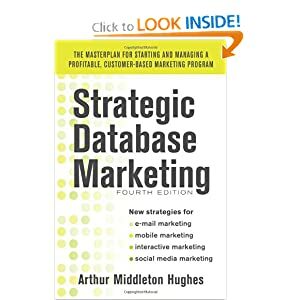 Great nuggets of information are lying in everyone’s customer database. Few understand how to use this data to understand their customer’s buying habits. In this article, we will show how one company used their existing customer data to increase their average order size and make a whopping profit. the total dollar amount spent. Using this information, they created RFM cell codes using a software package called RFM for Windowsâ. Last fall they selected 45,246 customers from their master file, using an Nth, and mailed them an offer. The charts below show the results of that mailing. The in-the-mail cost, including postage, was $0.42. They received 1,506 orders totaling $104,043.50, for an average order of $69.09. Their net profit from each order was $15.50, or 22.43% of the purchase price. They divided the 45,246 customers mailed into five equal divisions based on the recency of the last purchase. Here is a graph of the response rates of the 1,506 purchasers. As you can see, the most recent buyers did not respond as well as the next quintile. This flies in the face of normal RFM analysis which predicts that the most recent buyers always respond better than buyers whose most recent purchase was at some earlier time. Why this odd distribution of response? The answer is quite clear, when you reflect that they were selling a consumable product. The most recent buyers were not yet running low on the product, and therefore did not need to buy more. Was it a mistake to mail to these recent buyers so soon after their last purchase? Should they have waited? Not at all, as you can see from the next graph. This is a graph of total sales broken down by recency of last purchase. There were 9,069 people in each of the five quintiles. So the lowest two groups contained 18,138 people, who cost $7,618 to mail. They bought $16,087 worth of products. The profits from the 278 sales to these two groups only came to only $3,603. In total, therefore, the company lost $4,015 by mailing to them. This is vital information, since the 45,246 mailed were an Nth of the full file of 400,000. What this analysis shows is that mailing to the most ancient 80,000 buyers in the house file would have resulted in a loss of $18,962. This loss was clearly avoidable, and, in fact, the company did use this and subsequent knowledge to boost their profits by $41,948 in the final rollout. So far, we have looked at these 1,506 purchasers only from the standpoint of their recency of prior purchase. Lets look at them in terms of frequency of purchase over the three years that the database has been in existence. The above chart compares the 1,506 buyers based on how often they purchase from this company. The most frequent 9,050 buyers purchased an average of $103 each, while the remaining 36,129 buyers averaged only $54 each. Average order size again. Here, again, the lowest two quintiles were not worth mailing to. Finally, we look at the 1,506 buyers from the standpoint of their total monetary spending. As you can see, previous spending rates do not provide useful predictions of response rates. All quintiles are about equal. This is usually true of low-ticket items where the average sale is under $100. Most people can afford these purchases, so the price does not significantly affect their purchase decisions. Should we therefore discard monetary measurements altogether when planning our promotions of low-ticket items? Not at all. Lets look further into these 1,506 buyers based on their monetary spending. As you can see, monetary clearly predicts the average order size. The highest monetary quintile’s average order size was $105.11 while the lowest quintile’s average order was only $44.60. Monetary gives us a very useful measure to predict average order size. We are now ready for the final analysis of this mailing: looking at the full three digit RFM cell code. Here, the company used their RFM software to divide the 45,246 customers into 125 cells each containing 362 people. Take a look at the break-even rate for these 125 cells. What we see here is a very interesting picture. Of the 125 cells, there are 52 cells that lost money, and 73 that made money. Of course, the 45,246 people graphed here were an Nth of the master file of 400,000 people. For this reason, the company could accurately predict that the remaining 354,754 customers would behave in the same way as the initial 45,246 did. They were able to create the following chart to direct their rollout. By mailing only the 72 profitable cells in the rollout, their net profits (after deducting the mailing costs) went from $38,367 to $80,315, a gain of $41,948! What did it cost them to achieve this 110% increase in their profits? Essentially nothing. They already had the customer purchase information in their database. They already had the RFM software which they used to create the graphics in this article. They just put the two together. They didn’t need to hire a modeler. They didn’t need to append external data. They had a gold mine of information already in their database, and they used it intelligently to correspond with customers who would respond and to increase their average order size.